Any time you purchase a home, you’re making an important investment in your future. Decisions facing home buyers in the luxury market are often markedly different from those facing people who are in the process of owning their very first homes. With a substantial investment waiting in the wings, it is imperative that people who are shopping for exceptional property, such as luxury Dove Mountain real estate, understand how to get the best deal for their buy. If you are in the market for a piece of pristine property with the perfect home perched atop the landscape, start with these five tips to get you started on your way toward buying luxury real estate for the right price. Location. When it comes to real estate, location is everything. As you explore potential homes or plots of land on which to build a brand new house, make sure you take everyone’s needs into consideration to ensure you pick a location that’s perfect for your household. After all, each city is very different, and someone interested in Manhattan luxury real estate is going to have completely different wants and needs than someone interested in Marana luxury real estate in Arizona. You’ll also want to make sure you have a grasp on what the future of the area is going to look like. If there will be heavy congestion caused from new roads, and plans for retail developments are in the works, for example, the image of your home could drastically change in the next few years, and so, too, could your property value. When you find the right property, the area will have plans in place that are perfect for your needs. 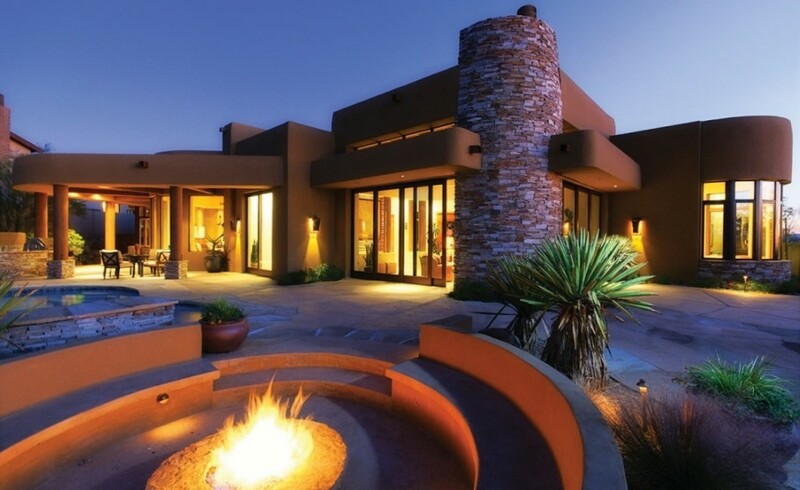 The Residences provides luxury Dove Mountain real estate to buyers without worry of overcrowding or congestion. With breathtaking views in every direction and easy accessibility to shopping, entertainment, and recreation, people seeking stunning homes that will provide returns in terms of property value are finding the perfect fit with this luxury Dove Mountain real estate. Space. More square footage means more value in the long run. To get the most value for your purchase, look for a home that you can grow into, which will also appeal to future buyers if the time comes for you to find a new home. With floor plans from 1,700 to 5,500 square feet, The Residences is luxury Dove Mountain real estate that offers ample space that will fit anyone’s needs. Amenities. The price of your home isn’t solely determined by the house itself. The amenities offered by the surrounding community can make each dollar matter much more when they’re easily accessible. Our luxury Dove Mountain real estate community, for example, is managed by the Ritz-Carlton, which means our residents have access to concierges, housekeeping, the spa, the golf course, and much more. Quality of the Building. Top-quality workmanship is an essential foundation for a luxury home. To make your money matter, you should seek out communities that are backed by builders renowned for exceptional customer service and outstanding designs. Cookie-cutter communities won’t likely yield as much money in the future as custom homes, so it pays to find a builder who can tailor your new home to suit your unique needs and desires. Personalization is always worth a pretty penny. The View. Spectacular views are Mother Nature’s way of enhancing the value of your home. As your browsing available properties, pay attention to your surroundings. Mountain views and stunning sunsets can add incredible value that simply can’t be purchased. Are you ready to learn more about the luxury Dove Mountain real estate offered by The Residences? Take a look at the spectacular estate homesites just waiting to welcome you home!